Are you a difference maker? 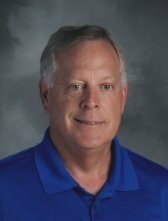 Want to be “That” coach when kids look back in 10-15 years and say, “Wow, did I love playing for Coach_________!” Dave Holt, from CoachandPlayBaseball.com reveals his top strategies as he coaches the coaches. If you are a youth baseball coach and into helping kids develop in the game of baseball then this show will be right in your wheelhouse. Dave Holt spent 19 years (16 seasons in the Boston Red Sox organization) in professional player development as a coach, field manager, instructor and scout. Discover the baseball coaching methods, processes, and philosophies that will prepare and mentor all youth baseball coaches and baseball parents in the vitally important areas of player development. You will hear from someone who has inside experience and knowledge on how to use some of the best coaching approaches and teach player development to your ‘flock’ of players. For all baseball coaching levels and experience from T-Ball to High School. And, you might just get an edge on the ways you can help your kids survive the 60/90’ fields and reach the high school baseball funnel. Dave Holt, from www.coachandplaybaseball.com talks to youth baseball coaches, ballplayers and parents on the value and merits of developing and training baseball players via the shortstop position. All non-lefthanded players workout at shortstop during practice. Dave gives the pros on why the benefits are so high to train all your players at shortstop during baseball practices. Avoid the ‘pigeon-hole’ approach putting your players at 2B, OF only. Expose players to the leftside of the infield at shortstop and thirdbase to develop arm strength that helps kids transfer easier to the 60/90’ ballfields. How do you as a baseball coach approach building and developing pitchers? One of the biggest and vitally important responsibilities of our youth baseball coaches is to develop a large amount of pitchers. Dave talks about the importance of looking at every kid as a pitcher in 12 & under age levels and build an endless supply of pitchers at all levels. Pitching depth is vital to building a quality, sustainable baseball organization. Make sure you take the steps to plan a pre-season baseball coaches / parent meeting. Dave explains advises youth baseball coaches to put all their cards on the table and communicate with baseball parents. Parents want to know who they are dropping their kids off with. This is a great time to share with parents about your style, philosophies and approach to coaching youth baseball. As the season ebbs and flows you can always fall back on your style, approach and procedures when issues emerge. One the best if not the best baseball practice planning tool is the 3-Team-it template. Dave explains the way he organizes baseball practice to make coaches look like baseball experts. Your players maximize their time, get plenty of rep, touches, and swings while embedding the drudgery of drills into mini-competitions. No standing around anymore. No boring practices that chase kids to play soccer. Highly energized practices and kids have a ton of fun at the same time. Dave dives deeper into your baseball coaching mind to see what you are thinking about your coaching approach and philosophy. Are you going to be a difference maker and leave a life-long impression with your players? What do you think about winning, hitting approach, playing time. baseball practice, game coaching, teaching the intangibles, communication styles, player development and what is your ‘end-game’ goals. At the end of the day are you going to make a difference. Maybe more important than baseball knowledge is being able to ‘manage’ a group of (12) players. Being able to communicate verbally and non-verbally, teach, complement, critique without being critical and establish your rules, procedures and expectations is vitally essential for effective coaching. Having ‘classroom management’ skills can carry a coach a long way to being a good leader and getting the most out of your ballplayers. 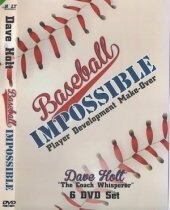 Dave Holt helps baseball coaches understand the real important stuff that coaches should emphasize during ballgames. Are you really a ‘baseball coach’ or are you performing for the parents. Often times much of the game coaching is just a show. Find out how to best serve your players and give them room to do what they do. Games are the player’s “time to shine”. Coaches step aside and release the kids to play the game…just like the pro’s do it. How do we as youth baseball coaches provide practice opportunities to help our players build ball handling and throwing skills? Dave Holt’s Rapid Fire Fungo Drill is an excellent drill template to follow and use at any level of baseball. Our kids need to be able to perform the most basic ball handling skills at a pretty high level and at the same time build arm strength to prepare to excel on the 60’/90’ fields. And, this drill is an instantly ramps up the player’s fun-level by embedding mini-competitions. Use this drill to Increase reps, build up arms, improve ball handling skills and provide an action packed, fun practice.